US LUXURY LIMOUSINES - Washington DC Limousine. Maryland, Virginia, New York, Pennsylvania. JFK, BWI, Dulles, Wedding, Prom limousine. A Luxury transportation service at Affordable rates. US Luxury Limos provide a professional luxury Limousine transportation service. A 5 Star service at a 3 star price. We specialize in the business of providing 24 hour airport transportation in late model Lincoln or Cadillac sedans at an affordable all inclusive price. Our luxury 14 passenger Vans compliment our fleet. Transporting 1 or 30 passengers, US luxury limousines is your solution. Our rates are all inclusive except for gratuity which is at the discretion of the customer. Serving Dulles Airport, Washington DC National Airport, Baltimore-BWI Airport, Richmond and Norfolk. US Luxury Limo is a premier limousine service provider for all your occasions. Based in Silver Spring, Maryland, US Luxury Limo, LLC is your number one choice for all your limo needs in Washington DC, Maryland and Virginia. 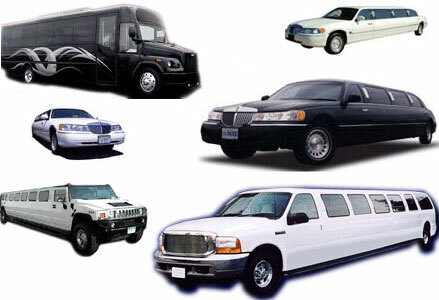 With a large fleet of reliable affiliates, we provide limousine service nationwide. So if you have a flight from BWI to LAX, you can count on us to give you a luxurious service for the complete trip. We are a large fleet of sedans, stretch limousines, SUVs, mini buses and mini vans to serve all your occasions: from proms and weddings to airport transportation and point to point rides. We serve major airports and cities like Atlanta, Baltimore, Boston, Chicago, Dallas and Denver. We also provide service in Detroit, Los Angeles, Las Vegas, Miami, New Orleans and New York. You can also count on our reliable and on time service in Orlando, Philadelphia, Phoenix, San Diego, San Francisco and Washington DC. Making a reservation for your next trip is simple and can be done online. You can also request a quote for your limo rental needs with no strings attached. US Luxury Limo is able to provide cheap limo service thanks to its large fleet and its efficiency to provide the most afforable car service to its valuable customers. So if you plan to hire a limousine service in Washington DC for a city tour or You just need a ride from Baltimore to BWI airport or Dulles airport, please call us and we will send you one of our professional chauffeurs who will make your trip a pleasant one. If you are looking for a limousine for sale please check our latest inventory for used limos for sale. We proudly provide a luxurious and affordable limo service in Alabama including Huntsville, Mobile and Montgomery. If you need a limo in Anchorage Alaska, you can also count on US Luxury Limo for the best limousine transportation. For all your limousine needs in Phoenix, Tucson, Peoria and Mesa Arizona please call us and a professional driver will be on your doorsteps on time. We provide limo rentals in Arkansas, Delaware, Iowa, Kansas and Montana as well. We can also use our limousine service in New Mexico, North Dakota, South Dakota and Washington DC. We proudly serve major cities in Califonia like Los Angeles, San Francisco, San Diego, Oakland and San Jose. If you need a limousine ride in Aspen or Denver then our Colorado Limousine affiliates are there for you. Please also contact us if you need a ride for all your occasions in Danbury, Middletown and stamford, Connecticut. US Luxury Limo offers great prices on limo rentals in Miami, Orlando or Fort Lauderdale, Florida and Nebraska. We also provide luxury limousines in Georgia, Hawaii, Idaho and Illinois. You can count on us for all you needs be it a prom, wedding or an airport ride in Indiana, Kentucky, Louisiana, Maine and Maryland. If you need a ride to Logan International airport to or from Boston, please use our Massachusetts limousine service. We offer great rates on limo rentals in Michigan, Minnesota, Mississippi, Missouri and Nevada. Thanks to our reliable affiliates nationwide, we are able to provide competitive service in New Hampshire, New Jersey, New York, North Carolina, Ohio, Oklahoma and Oregon. We also provide limo service in Philadelphia and other cities of Pennsylvania, Rhode Island, South Carolina, Tennessee, Texas and Utah. Cheap limo rides to and from DCA Ronald Reagan Washington National airport or Dulles international airport are available from Fairfax or Alexandria Virginia. Please use our service for all your valuable occasions in Washington, Vermont, West Virginia Wisconsin and Wyoming.